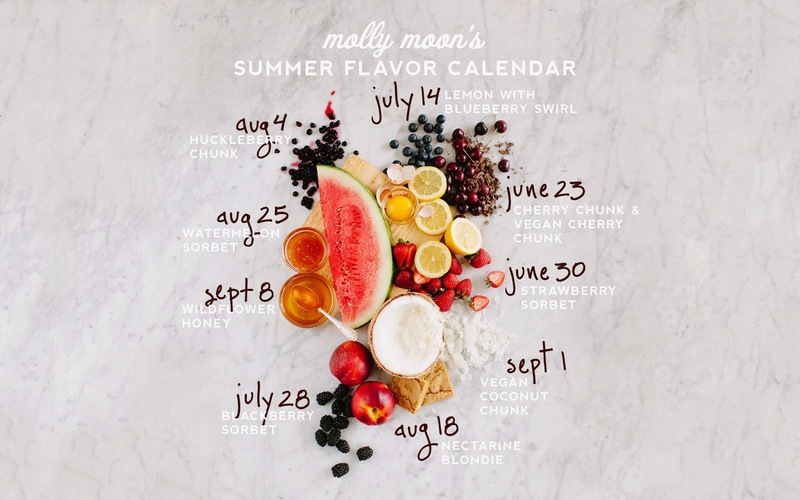 molly moon's homemade blog: our summer flavor calendar is here! our summer flavor calendar is here! Here at molly moon's, we get pretty darn excited about summer. 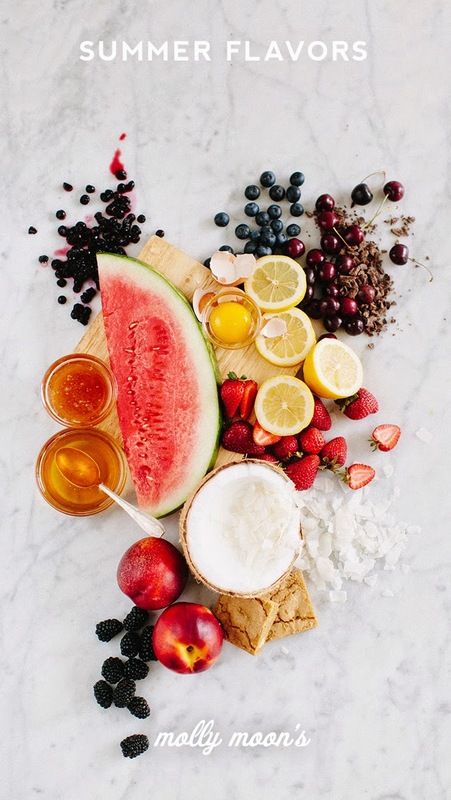 Not just because we love sandals and outdoor music festivals and picnics in the park, but also because that's when we get to take advantage of the amazing, delicious rainbow of Northwest fruit and make some really fun ice cream flavors. Want to save this info for easy reference this summer? You can download the desktop wallpaper here, & download the iPhone wallpaper here. A very important note on our flavor calendar: since we work with small, local farms who are subject to the whims of the weather, dates and flavors are subject to change. Keep an eye on our flavors page for updates, or follow us on Twitter, Facebook & Instagram for news (& pics!) of each new flavor.